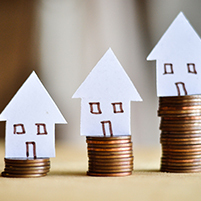 Property agreements: An alteration could sink your sale! In practice of course, the buyer’s initial offer is usually in the form of a written document which only becomes an agreement if and when signed in acceptance by the seller. And often that initial offer sparks negotiation, usually over price or other important terms, with the result that sale agreements are frequently amended both before and after signature. A recent High Court case shows once again how vital it is to ensure that any such amendments have actually been agreed to by both seller and buyer. An offer “accepted” – or was it? When the seller refunded only part of the deposit (arguing that her acceptance of the offer had resulted in a valid and enforceable sale agreement) the buyer went to court. On the facts of this case, the seller’s alterations were material and amounted to a counter-offer which was never accepted by the buyer. There was therefore no sale. Make sure that any changes to sale documents correctly reflect your agreement, and that both parties sign or initial them in confirmation. 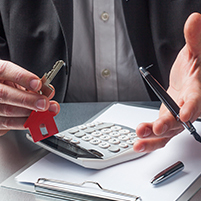 And as always with property transactions, don’t take any chances – sign nothing without your lawyer’s advice! 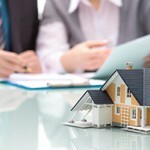 For more advice and practical solutions you are welcome to contact our Conveyancing, Property & Real Estate department. The Court held against the property owner, commenting that: “This was an objection in the tersest of terms in which no particular challenge was raised to the conduct of the valuation by the municipal valuer as is provided for in terms of the Rates Act……… No substantive information was submitted to challenge or dispute the valuation that had been undertaken”. For more advice and practical solutions you are welcome to contact our Conveyancing, Property and Real Estate (link) department. 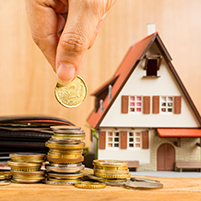 Could your property debts be cancelled? If you are a bank (or other lender), or if you have borrowed money against your property and are facing financial difficulty, you need to know about a recent High Court decision declaring that a bank’s loans to a farming couple had been granted “recklessly”, setting aside the loans, and cancelling the mortgage bonds. A couple used their pension moneys to buy a smallholding and develop it into a small scale farming venture. They then started borrowing from a bank to meet shortfalls in their cash flow. The bank secured its loans with two mortgage bonds over the property for a total of R1,151m, and took a suretyship from the couple’s daughter. From day one it seems the farming venture was in trouble and eventually the bank approached the courts for an order to allow it to sell the property in execution. The couple (and presumably their daughter also) risked losing everything. The farming venture’s prospects of success were never good. The Court, commenting that the National Credit Act (NCA) obliges a credit grantor to assess the consumer’s means, prospects and obligations “reasonably” before granting credit, held that the bank had failed to do so but instead had acted “irrationally”. In the circumstances the couple had, with the help of an expert witness, proved (it being up to a debtor to prove any allegations of reckless lending) that the loans fell to be set aside or suspended in terms of the NCA. The extent of the bank’s recklessness, the fact that the couple were elderly, and the fact that the smallholding was their only home led the Court to set aside the loans altogether rather than just suspending them. The couple must pay the bond cancellation costs, but other than that they – and their daughter who stood surety for the loans – are off the hook altogether. The bank on the other hand is down R1,74m plus interest and legal costs. Banks (and other credit providers): Revisit your credit granting procedures urgently! E. Property that the deceased was competent to dispose of immediately prior to his/her death (Section 3(3)(d) of the Estate Duty Act), like donating an asset to a trust, may be included as deemed property. a. The general rule is that foreign assets and rights of a South African resident, wherever situated, are included in his/her estate as assets. b. However, the value thereof can be deducted for estate duty purposes where such foreign property was acquired before the deceased became ordinarily resident in South Africa for the first time, or was acquired by way of donation or inheritance from a non-resident, after the donee became ordinarily resident in South Africa for the first time (provided that the donor or testator was not ordinarily resident in South Africa at the time of the donation or death). The amount of any profits or proceeds of any such property is also deductible. a. Debts and liabilities due to non-residents are deductible but only to the extent that such debts exceed the value of the deceased’s assets situated outside South Africa which have not been included in the dutiable estate. a. Where property is bequeathed to a public benefit organisation or public welfare organisation which is exempt from income tax, or to the State or any local authority within South Africa, the value of such property will be able to be deducted for estate duty purposes. a. This includes that much of the value of any property included in the estate that has not already been allowed as a deduction and accrues to a surviving spouse. b. Note that proceeds of a policy payable to the surviving spouse are required to be included in the estate for estate duty purposes (as deemed property), but that this is deductible in terms of Section 4(q). c. Section 4(q) deductions will not be granted where the property inherited is subject to a bequest price. 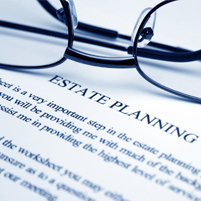 d. Section 4(q) deductions will not be granted where the bequest is to a trust established by the deceased for the benefit of the surviving spouse, if the trustee(s) has/have discretion to allocate such property or any income out of it to any person other than the surviving spouse (a discretionary trust). Where the trustee(s) has/have no discretion as regards both the income and capital of the trust, the Section 4(q) deduction may be granted (a vested trust).